I checked out a copy of this book from the library. Reader Gut Reaction: Gripping, nonstop suspense and action—that would be my initial characterization of the book. At the same time, it's about what happens inside one's mind as well as out "in the world"--or, in this case, in two worlds. It's at once a story about post-traumatic stress and an action-packed fantasy/sci-fi adventure. I envy the author's ability to weave these two elements together without neglecting either one. Concerning Character: It's more than easy to get drawn into the story of Jack, the narrator, since the story begins with his kidnapping. You'd think things couldn't really get worse, but somehow, they do, when he's given access to the world of Marbury thanks to a pair of strange glasses. When he looks through them, suddenly he's in a different place. A dubious gift, to say the least, since Marbury is not a nice place. Good things happen to Jack, too, like meeting Nickie, but the complexity and weirdness of his situation puts his existing friendships and his potential romance at risk. It's a very well-rounded story—the author doesn't miss a detail (that I could tell) when it comes to exploring Jack's increasingly bizarre world. Recommended for Fans Of...: Books that plumb the dark depths of human nature and deal with the testing of physical and mental limits, like Patrick Ness's Chaos Walking trilogy. Books about alternate worlds that might or not be real, like Libba Bray's Going Bovine. Themes & Things: As I just mentioned, this book does not shy away from difficult subjects. Kidnapping. Abuse. The various ways that the human body and mind can be tested to its desperate limits, whether through mental trauma or physical strain. The meaning of friendship, and how far you can stretch that bond until it breaks. What makes a man into a monster, both literally and symbolically. It's a very scary book, but not just because of the visceral horrific details—it's also frightening because of the way it makes the reader question whether we'd do just as Jack did if we were in the same situation. Authorial Asides: A few miscellanea: I love the hardcover art—it's very steampunk, even if the book itself isn't. I am also a sucker for books that weave fantasy and reality and make you question what might be real—especially if, like in this book, there are hints to connect the two and make you try to guess just how the two worlds relate. Lastly, I believe that there is room for a sequel...which would make me very happy. You can visit Andrew Smith online at his blog, Ghost Medicine, or follow him on Twitter. 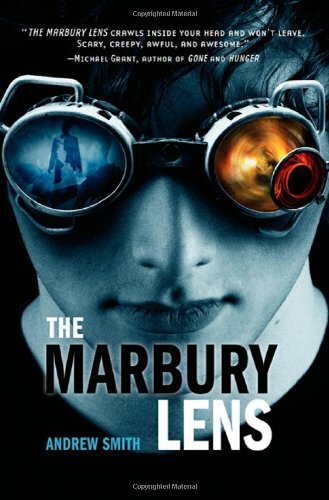 You can find The Marbury Lens at an independent bookstore near you! Thank you so much for this. AND... for having me right next to my friend Greg Neri. Greg is such a cool guy... we got to hang out in Nashville over a year ago, and we talked about his most recent book and how he researched it then. Wow, Andrew, we're always so pleased when authors drop by - thanks for the visit, and how cool is it that you actually know Greg Neri!! 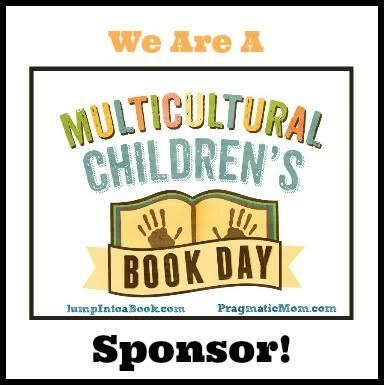 Looking forward to more books from you! Okay, so I've only been into YA lit for a couple years, but I've read plenty of it, and this is, in my opinion, the best book about a young character that I have ever read. I don't mean it's the best because it's the most fun to read, or because I would love to picture myself living the story or anything as lame as that. I mean that this story takes the reader by the balls ... whether he is a young man, as I wish I had been when I first discovered Andrew, or whether he is an old boy, like myself ... and it questions what he thinks. What he thinks about himself. What he thinks about society. What he thinks about girls. What he thinks about friends. I'm not going to say that Jack or Con or Griff or Ben or Seth or Nickie have any of these answers, but sometimes asking the questions is all it takes. Great review. I'm following this blog now, obviously. Thanks, Matthew, for the kind words about the review! It really was a great read, wasn't it? Very thought-provoking. Fortunately, there are lots more great YA reads out there. Hopefully we can point you to some in future posts!